These days, employees can easily share their work experiences online, and employee opinions about companies and managers are all readily available to prospective workers and customers alike. As a result, companies face new risks to their reputations. A company known for its poor work environment and treatment of employees may find the poor image can also curb its reputation with customers, hinder its ability to attract new workers, and even hurt its financial performance. For the fourth consecutive year, 24/7 Wall St. has identified the nation’s worst companies to work for. 24/7 Wall St. analyzed thousands of employee reviews from jobs and career website Glassdoor, which has compiled data on more than 400,000 companies around the world. The worst company ratings ranged from 2.3 to 2.7 out of 5, significantly lower than the 3.2 average company rating on Glassdoor. These are the 12 U.S. companies with the lowest employee ratings. According to Scott Dobroski, community expert at Glassdoor, the features of a great company to work for are relatively easy to identify. Employees who receive a clearly communicated vision from the company's leaders, who have opportunities for advancement, and whose work has an impact on the company’s bottom line, are far more likely to rate their employer favorably. “A lower rated company on Glassdoor is exactly the opposite of that typically,” Dobroski said. Employees at a majority of the 12 companies interact with customers on a daily basis. In such companies, employee dissatisfaction can have a direct effect on a the bottom line. Dobroski said there is a strong correlation between employee satisfaction and productivity. In customer facing service jobs, however, dissatisfaction will impact both productivity and customer satisfaction. One of the most frequent employee complaints was a lack of work-life balance. While working long hours can be miserable, be a characteristic of a miserable job, it can also be a sign of employee satisfaction. If employees “actually like what they’re doing, they’re motivated to work harder and sometimes put in those additional hours, and so that translates into tangible results,” Dobroski said. Pay is also partially a factor. According to a report from Glassdoor, just 10% of Glassdoor users who reported annual wages higher than $120,000 gave their employers a rating of 1 out of 5 versus 15% of employees earning less than $30,000 annually. However, controlling for a range of other factors, the report found money does not have a very large impact on satisfaction. An employee’s experience with a company’s culture and values are far more important. In addition, while wages tend to go up over the course of one’s career, more experience at a job is associated with lower employee satisfaction. Glassdoor.com’s research suggested this could be due to the relatively long amount of time necessary to fully learn about a work environment. Or it could be that more experienced workers perhaps become jaded over longer periods of time. To identify the 12 worst companies to work for, 24/7 Wall St. independently examined employee reviews on Glassdoor -- this is not a Glassdoor.com commissioned report. To be considered, a company needed to have a minimum of 1,000 reviews, be currently operating and based in the United States. Employee counts are from the most recent financial documents for each company. For subsidiaries, head counts for the parent company were used. These are the 12 worst companies to work for. Of the roughly 4,700 reviews posted about the company on Glassdoor, drugstore CVS Health received an average rating of 2.7 out of 5, making it one of the worst employee-reviewed companies in the United States. Employees who submitted reviews commonly complained about stores being understaffed, with managers having unreasonable expectations, and a difficulty in getting tasks done in the time allotted. Employees were likely to be dissatisfied not only with their working conditions, but also with the decisions of the company’s top management. Only 40% approved of the company’s current CEO, Larry Merlo. While CVS Health employees are less than satisfied with the company and its management, stockholders are likely much happier with management. CVS shares rose roughly 10% so far in 2015. The company also reported earnings growth in each of the past three years. Global information technology company Computer Sciences Corporation (CSC), based in Virginia, employed around 70,000 people worldwide as of April this year. Revenues have fallen each year since the company’s fiscal 2011. In its most recent fiscal year, CSC reported revenues of $12.2 billion, much lower than the $14.5 billion in revenue it reported in 2011. Earlier this month, the company agreed to pay $190 million to settle fraud charges with the Securities and Exchange Commission. In addition, numerous current and former executives were required to pay large fines. CSC employees are on the whole relatively dissatisfied, according to employee reviews. “The work-life balance is a joke” was among the most frequent negative reviews on Glassdoor. Another common complaint from current and former employees was the high turnover rate even among management positions. In addition, CEO Mike Lawrie had an approval rating of just 37%. Discount retailer Dollar General received an average rating of 2.7 out of 5 on Glassdoor. Just 41% of the current and former employees who submitted reviews said they would recommend working at the company to their friends. Complaints about working for Dollar General were in line with many of the other low-skill, client-facing jobs at companies on our list. The most common complaints included long hours, low pay, and poor management. However, feelings about corporate management may soon improve at the company. Earlier this month, Todd Vasos was named the company’s new CEO. he has not been in the role long enough to have a significant impact on the company, but preliminary reviews at Glassdoor have been positive so far. As of May 2, 2015, Ross Stores had 1,242 locations in 33 states, the District of Columbia and Guam. According to the company’s website, Ross Stores makes it an “everyday priority” to treat its associates with respect. However, on Glassdoor, many employees told a very different story. Several workers complained about their extremely low salaries -- Ross Stores often pays their employees the lowest amount allowed under the law. One former employee reported being “overworked and underpaid,” at times feeling like “an indentured servant.” This despite the fact that the company’s annual profits have gone from $786.8 million in fiscal 2012 to $924.7 million in fiscal 2012. Network service providers do not have the best of reputations for their service, and at least one -- DISH Network -- does not appear to be treating its employees much better than it treats its customers. Of the roughly 2,200 reviews by former and current employees posted on Glassdoor, DISH Network scored an average of 2.6 out of 5, making it one of the worst reviewed large companies in the United States. One of the most common complaints was that upper management was out of touch with the technicians and customer service representatives. Multiple employees reported that the central dispatch would prescribe routes that were unrealistic. Employees also complained about being forced to wear heavy black uniforms in the summertime. 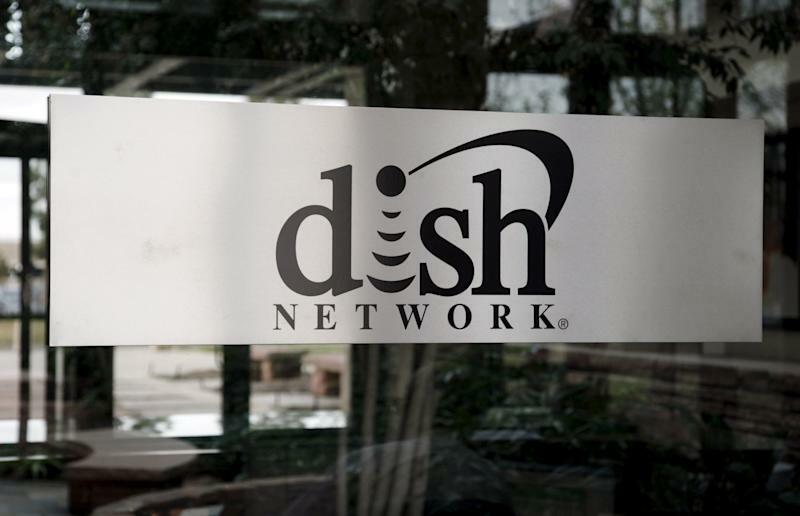 DISH’s overall rating may improve soon as the company is in talks to potentially merge with mobile service provider T-Mobile, which scored an average of 3.8, making it one of the best reviewed large companies on Glassdoor. AECOM provides project management, consulting, and architectural and engineering design services to both of government and corporate clients. Growing from a company of about 20,000 employees in 2005 to its current size of nearly 100,000, many employees complained that the company has become a bloated bureaucracy. The company, many reviewers criticized, is now run by accountants, and not managers that understand their employees. AECOM's current CEO Michael Burke has a degree in accounting and used to serve as the company’s CFO. Under Burke’s leadership, many survey respondents felt that the company’s only interest has been its stockholders and its bottom line, and not employee satisfaction. The company’s stock has outperformed the Dow Jones Industrial Average so far this year. Sears received an average rating of just 2.5 stars out of 5 from more than 5,000 employees surveyed on Glassdoor. Dissatisfaction with senior management was a common complaint among employees, with 1 star out of 5 being the most common rating. Of those who disapproved of the company’s management, many complained of a disconnect between upper management and store staff. One reviewer’s opinion was that the company’s approach was outdated and in need of a “global restructure and culture change.” Only 21% of employees surveyed approved of the CEO Edward Lampert. The company’s stock price suggests investors also lack confidence in senior management. Sears Holdings Corp (SHLD) shares have plummeted more than 30 since the beginning of June. Sears reported a net loss of more than $1 billion in each of the last three years. Having worked her way up in the company for decades, Ursula Burns was named CEO of Xerox in 2009. However, under Burns’ leadership, the company’s earnings have declined from more than $1.3 billion in 2011 to $992 million in 2014, a 25% drop. These figures support recurring employee complaints about leadership -- only 32% of surveyed employees approved of Burns. Many employees also complained about a culture of favoritism in the company, saying that personal relationships are more important than work ethic when it comes to promotions and raises. Another recurring complaint was related to compensation. Employees cited low pay and years without cost of living raises as reasons for the company’s high turnover. Less than a third of Xerox employees would recommend a job at the company to a friend. Of the roughly 2,000 employees who reviewed budget clothing retailer Forever 21, only 28% said they would recommend working at the company to a friend. The average score for employee experience was just 2.5 out of 5. Some employees said they enjoyed the fun workplace environment and also appreciated the employee discount they received. But many followed up by adding that the perks simply were not enough to make up for the poor compensation and long hours. One reviewer stated, “This company is known for not treating their employees well. Whether you're a sales associate or have a full time management position, expect to be overworked and underpaid.” According to Glassdoor’s list of salaries, sales associates earn just $8.99 per hour. It is not a good sign when two subsidiaries of a company make the list of the worst companies to work for. Like Sears, Kmart is also owned and managed by Sears Holding Corporation since the companies merged in 2004. Kmart scored just as badly as Sears, with roughly 1,900 reviewers awarding it a score of just 2.5. Less than 1 in 5 Kmart employees approved of their corporate leader, CEO Eddie Lampert. Common complaints store employees made included disorganized management, old equipment, hot or otherwise unpleasant working conditions, and most frequently, low pay. One cashier said, “I make minimum wage, which is fine for a summer job but I know there are places that pay more for the same amount of work i'm doing.” According to Glassdoor, the average cashier at Kmart earns just $8.13 per hour. Dillard’s is currently the second worst company and the worst department store in the country to work for. Founded by William Dillard in 1938, the company now operates close to 300 locations across 29 states. The department store chain is still managed by the Dillard family with William Dillard II as CEO, Alex Dillard as president, and William Dillard III as vice president. According to a profile published in Arkansas Business, William Dillard III “believes a manager’s role is to bring out” each employee’s uniqueness “to full positive impact.” His employees, however, may disagree he's had any success in implementing this attitude at Dillard's. Many more employees surveyed by Glassdoor gave Dillard’s 1 star out of 5 than any other rating. One star reviewers most commonly criticized management. As one former employee said, “The people at the top of the ladder do not seem to really care what is going on in the pits of the company.” Furthermore, many employees complained about unrealistic sales goals and inadequate benefits. Meanwhile, corporate profits increased from $479 million in fiscal 2013 to nearly $511 million in 2014. While pharmacy chain CVS Health received poor employees ratings, it still fared better than Express Scripts, which was the only large company to receive an average rating of 2.3 on Glassdoor. Just 28% of the current and former Express Scripts employees surveyed said they would recommend working at the pharmacy benefit management company to a friend. Only one other company, Forever 21, had such a poor recommendation rate. Employees at Express Scripts had a variety of complaints, but the most common ones included being rushed at work or having far too much work. Many employees reported they were constantly afraid of being fired or having their branch shut down. Horrible employee satisfaction does not appear to have hurt the company’s bottom line. Express Scripts net income has increased each year from fiscal 2010 through fiscal 2014, with the most recent earnings of over $2 billion, Shares of Express Scripts have roughly doubled since the beginning of 2012.